What Is In Store For You In 2018 ? Yes! The new year 2018 stands before us like a whole new chapter in our life waiting to be written. It is for sure that new year 2018 brings a new garland of ambition & vision. Besides, it also carries new doubts, confusions, new disputes, Complications, troubles etc. So, basically it is crucial to know what is in store for you in the coming year 2018? How fruitful is the new year for you? How the stars in your birth chart favour you in various aspects of your life like Education, Career, Business, Love & Relationship, Personal life, Finance, Progeny, Health & much more! Don’t just simply surrender yourself to fate. Let astroplanet9 help you deal your life’s most pressing issues with our astro-experts guidance. All our predictions at astroplanet9 are provided by our expert team who possess tremendous experience in Vedic Astrology. Have a glimpse into the following horoscope prepared for each zodiac sign for the year 2018 by astroplanet9. Aries, you will find this new year 2018 to be full of new energy, opportunities & determination. Your Lord, MARS will direct you towards new beginnings. you will sense that you will be able to drag yourself towards a clarity of how you are going to plan this whole year to promise yourself a steady growth in career & business opportunities. you will experience sound health this year with some concentration towards diet & fitness. you will have a very good time with family & relationships as the positively transit Jupiter will solve all the disputes within family and bring reunite everyone together which brings you full joy. if single, it’s a good time for you to get into a relationship. And there will be some challenges in the last months, you will perform well at work except the last two months where you may experience some downside. you will definitely start coming out of financial problems. the last months will be like testing period for you as the Jupiter transit takes place on Oct 11, 2018. You may not get support from your pals or family. You may get involved into conflicts with your business clients. your emotional health will experience a downtime. you may get involved into unwanted issues at work and here you need to maintain good amount of tolerance which will keep you safe. What is that the planets are trying to tell you about the fortune in your life. 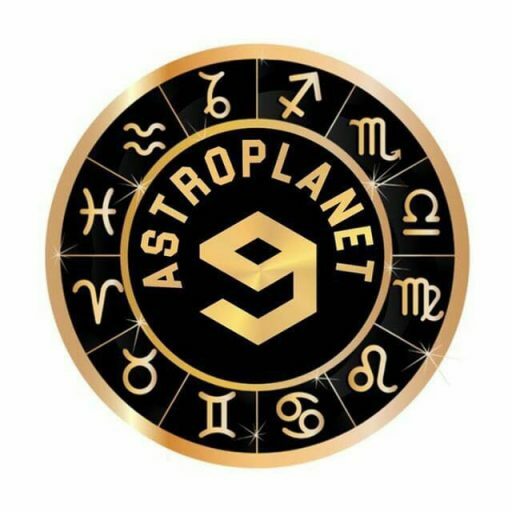 Let www.astroplanet9.com help you to listen to them. Please log on to www.astroplanet9.com or give us a call or whatsapp at +91 90003 80004 and order for a yearly horoscope report. Watch out TAURUS! you may need to have a plan for 2018 as the negative energies are much higher indicating that you will have very much challenging year. Unfortunately, many aspects of your life including health, family, finance and career will get affected. Be more constructive and comfortable as Your goals and aspirations will not be denied. Also as Uranus is going to tour your sign, be prepared for some kind of shaking & shifting perspectives in life. your ruler VENUS is retrograde Oct to mid- Nov in 2018, it is better to avoid any issues in relationship as well as at work. Possibility of little problems, miscommunications and fights come up at home during mercury retrograde. Jupiter on 6th house and Saturn on your 8th house indicates financial problems in this year 2018 and it is better to avoid any unwanted or luxury expenses. You may have bitter experience travelling abroad. You can plan for pilgrimage with your pals since Rahu is in good position. Stock trading will be profitable for the people running favourable maha dasa. Mixed results for people into business. you will get the credits for the efforts and hard work you put in. Don’t feel dejected with the circumstances around you. Its time to get up & gather all your confidence and plan for a better future. Let astroplanet9 support you towards a promising year ahead with astrological guidance. Please log on to www.astroplanet9.com or give us a call or whatsapp at +91 90003 80004 and order for a yearly horoscope report. Dear GEMINI, this year would bring a whole new courage in your life and boosts your confidence so that you may be engaged with many new projects and connected to many new people. Your lord Mercury offers you great support in exploring new channels in your life. On flipside you need to be ready to face hurdles in personal life as well as at work. You need to be careful on your health by last two months. However, you will be able to diagnose problems at early stage but be sure to practise a good diet & exercise. This year, your family environment will be very much supportive and you will develop good mindset. With strength of Jupiter, you will get involved inn many good projects which will increase your cashflows. If you are looking to setup business and new ideas, then it’s a good time before sept. the financial condition will be very much favourable & you may experience good savings till mid Oct 2018 after which 6th House Jupiter will create more expenses. Jupiter transit takes place on Oct 11, 2018 onto Vrischika Rashi. Saturn will be on your 7th house in unfavourable spot. Don’t let yourself down. It’s important you give yourself time and are more patient with others and keep yourself flexible. Please log on to www.astroplanet9.com or give us a call or whatsapp at +91 90003 80004 and order for a yearly horoscope report to find out how the new year 2018 will turn out for you. This year would be spectacular as you will start seeing many positive changes in your life. You may feel blessed in plenty of ways. you will come out of your past emotional trauma and regain confidence level with the strength of Jupiter. You will get good opportunities to reunite with your relatives and family members and your status & image will rise high. it is a very good time to find suitable alliance and get married. If you were waiting for progeny prospects, you will have good fortunes. If you have taken break, then its good time to start education. You will get very good work life balance. If you want to try a new business, try out, it’s a good time. Chances of foreign travel is likely to happen. Your financial matters will be fruitful. You are likely to clear up all the debts on a fast pace. Meanwhile, you will put into tests a several times, just to remind you of your strengths. Please log on to www.astroplanet9.com or give us a call or whatsapp at +91 90003 80004 and order for a yearly horoscope report to have a glimpse into the year ahead. For LEO, this year is going to be a challenging time which is a result of reality & perception. Increase in your negative thoughts may lead to complexes and worries. Your physical health seems to be good this year, but you will develop more mental stress and anxiety due to personal problems. You will have conflicts / emotional setback with your family members. Jupiter will be transiting over 3rd house until Oct 11, 2018. It denotes more obstacles to your career growth. Avoid involving into any conflicts as you may end up creating unnecessary troubles. This will be a very challenging year for business as you may face huge financial problems without any relief. Only thing is that you will be able to stay in business. Your financial situations may experience many downs with unexpected expenses while having a steady income. Avoid borrowing money as much as possible and have patience to go through this tough time. It is better you plan for a pilgrimage and avoid long distance journeys. Since experience is the best teacher, you can expect to end the year with a wealth of wisdom that creates plenty of auspicious opportunities that’ll carry you into next year! Check out your 2018 yearly horoscopes at www.astroplanet9.com or give us a call or whatsapp at +91 90003 80004 these horoscopes give you all of the possibilities for your sign. Virgo, year 2018 has its ups and downs, and you can make the most of the ups while coping skill-fully with any downs. Jupiter on your 2nd house in favourable position will give you good fortunes until Sep 2018. Last quarter this year seems to be a severe testing period. You are not going to face any major health issues but be sure to take care of your elder’s health. If you are eligible single looking for a suitable alliance, then its good time. And it’s a good time to plan for a baby. Students will exhibit their talent and it’s a pretty good time except last 3 months. You will get enough financial rewards and recognition for the hard work until sept 2018. This year seems to have mixed results for business. You will experience excellent financial growth but you may expect a sudden downtime during last 3 months. Your business travel will materialize into great success. You will be happy in spending time with your friends on personal trips. You will come out of debt problems and experience money shower but be watch your expenses during last 3 months. You need to have patience and manage your stress level and believe that things always get better with time. If you plan and boost your confidence, then you can conquer and face any kind of issues in the coming year ahead. Let our eminent astrologers at www.astroplanet9.com help you achieve the most rewarding in the year ahead. Please log on to www.astroplanet9.com or give us a call or whatsapp at +91 90003 80004. For you LIBRA, this year would be a good time with its share of challenges. Saturn is in excellent position on your 3rd house in this new year 2018 which is good news for you. Your emotional health can get affected. You may feel weak, dizziness and may develop confused state of mind. You may develop weak immune system. You will get the right medication and support and You will regain your sound health from October 2018. You may experience more family politics. Marriage alliance can keep getting delayed for unknown reasons. If you are exploring new opportunities for work, you may get it with the strength of Saturn. But you may not experience any significant growth. Your promotion prospects will get delayed. Once you reach Oct 2018, your career growth pickup significantly. You will gain more experience and develop new managerial and administrative skills to manage running business with your own cash reserves. You may have good deals on foreign travel but You may not have good hospitality. Since Saturn is in good position, your business travel will materialize but only from Oct 2018. Avoid borrowing money as much as possible. You will have more expenses related to travel, medical, shopping luxury items. You will sort out many of your problem during last phase of the year. Even though this new year does not begin with a good note, you will be very happy by end of this year. Want to have a peek through in the new year 2018 and plan in advance to make better decisions to lead a happy & prosperous life? Let us help you! Please log on to www.astroplanet9.com or give us a call or whatsapp at +91 90003 80004 and order for a yearly horoscope report today. Hurry Up! Dear Scorpio, the year 2018 begins with your lord Mars being placed in better house which brings loads of fortune. At some point things may get complicated unnecessarily and hence you will have hard time in solving simple problems. Since Saturn and Jupiter are in much better position, you will recover health in this new year 2018.You need to watch out your diet and maintain your weight. The last 3 months of this year 2018 will be challenging for you. You need to stay patient enough to deal the family problems coming up in this year. You will develop more mental worries with increasing family politics. It is not a good time to propose your love and accept love proposal. Progeny prospects are not looking great with poor health condition. You will find your working profession challenging and Your work pressure and tension can shoot up. Practice patience. It is not a good idea to try out new business or expand your business. Long distance travelling is highly indicated on the cards in this year 2018. The time after Oct 2018 is not looking good for travelling. The position of planets is not looking good for your finance. Your financial commitments will shoot up with the addition of family member that is spouse or birth of a child or education expenses for children, etc. You need not worry Scorpio! As you are capable to come out of this phase towards a better time. Let our eminent astrologers at www.astroplanet9.com help you achieve the most rewarding in the year ahead. Please log on to www.astroplanet9.com or give us a call or whatsapp at +91 90003 80004. This year 2018 is going to be much progressive for Sagittarius. The amount of positive energies is much higher so you will see good results with your hard work. Since Jupiter is in good position, you will see faster recovery with right treatment and medication. You will spend more time and sort out the problems with your spouse, in-laws, children and siblings. If you were separated in the recent past, it is a good time for reconciling and living together again. As benefice Jupiter in your 5th house, will make you success on your love affairs. Long waited couples will get blessed with baby. The problems with your friends will get fixed and get you mental peace. It is a good time to set up and expand your business. You will be happy with family vacation and outcome from business travel. Money will come through many sources including foreign countries. And Meanwhile, you will have all sorts of random things go wrong. You can be extra stressed and pushed and pulled, so give yourself breaks and go easy on yourself. www.astroplanet9.com is here to guide you plan your new year based on your natal chart. So, why not grab this opportunity? Be sure to order for Yearly horoscope report at www.astroplanet9.com or give us a call or whatsapp at +91 90003 80004. Dear CAPRICORN! This year 2018 will present limitless opportunities to you but you will have to decide which direction you should move on. The impact of Sade Sani will be moderate. You may expect moderate growth and success. You need to pay more attention to your health going forward. You may develop mental stress and unwanted fear. There will be problems creeping up on family environment. You need to stay patient until Sep 2018 to cross this hard phase. There will be lack of conjugal bliss going forward. You need to have strong natal chart for progeny prospects. If you are single, wait until Sep 2018 to look for suitable match. You need to avoid arguments with your friends to maintain good relationship. Your work pressure and tension will go up in the first 8 months and avoid taking any major decisions in career. The major planetary positions are not in your favour, so be careful in business matters. Avoid borrowing money and doing business expansion. You may have to avoid travelling as much as possible. You cannot expect big fortunes on finance in 2018 as you will have more expenses which may drain out your savings faster. Try to have more patience with yourself and others, and have an outlet for frustrations. Let our astrology experts help you in planning your agenda for this new year 2018. Please visit www.astroplanet9.com or just call or whatsapp at +91 90003 80004. You will have big fortunes in 2018 Aquarius! with all major planets and your lord Saturn are in good position. This year will give you remarkable growth and success. Though 2018 may not provide all the excitement you crave, there’s still plenty of opportunities. In 2018, you will come out of prolonged mental anxiety problems. The health of your family members will also improve. As you pay attention to fitness, your medical expenses will go down. The favourable planetary positions can provide enough strength to fix the family problems completely. It is a good time to conduct any subha karya functions like wedding, baby shower, house warming, major milestone anniversaries, etc. It is a good time to propose your love. Long waited couples will get blessed with baby. You will be working on high visibility project that can give faster growth. It is time for you to explore new phases at work. Coming to business, its perfect time to do it. Cash flow is indicated from many sources. You will come out of financial problems gradually. Its good time to travel abroad. Put your worries at rest and be prepared to witness the blessings this year. To know how to face the coming year’s challenges and grab the opportunities to make your life fruitful, log on to www.astroplanet9.com or just call or whatsapp +91 90003 80004. The year 2018 is one for hard work, Pisces, and begins with a dull note. The combination of planets and your lord Jupiter can create many problems on your life affecting your health, career, finance, family and relationship. You need to depend on your natal chart to do well on your life. The good news is for you is Mars retrograde that can lower the intensity of the problems and give good relief. 3rd quarter is going to be testing period and last 3 months are looking good. your physical health will not get affected but you may experience more anxiety, tension and disturbed sleep. You may develop unwanted arguments, conflicts or misunderstanding with your family. It is better to wait until Nov 2018 to get engaged, plan for baby. You will have more challenges at your workplace. your work pressure will keep increasing. It is going to be very much challenging time for business people. You will experience a bitter financial experience till 0ct 2018. November onwards its all favourable time for you and your financial situation will start improving. Try to stay calm, Pisces, as you work through the challenges you face. No matter how stressful things may seem, make a conscious effort to remain positive and expect to see better days shortly. It is great to start planning to make this new year 2018 better than yester year. For this, let astrology experts at astroplanet9 help you out. Order for our Yearly horoscope reports at www.astroplanet9.com or give us a call or whatsapp at +91 90003 80004.